This is a delicious and easy frozen yogurt pie recipe. 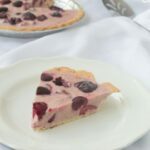 It’s a mixture of yogurt and fresh cherries frozen into a pie crust. Just mix, freeze, cut, and serve! Today I’m sharing the ultimate easy frozen dessert. 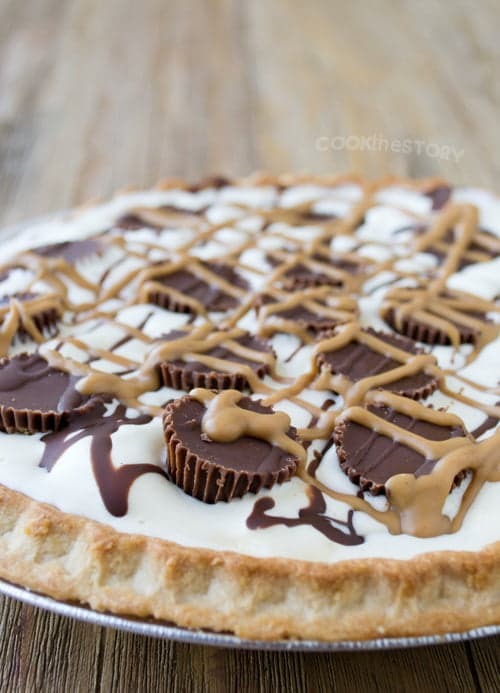 It’s a frozen yogurt pie recipe. Did you know that frozen yogurt is really just yogurt that’s been frozen? To make frozen yogurt, put it in a covered freezer-safe container in the freezer and then stir it every now and then until frozen. And you can also make frozen treats by combining yogurt with other ingredients in different ways. For instance, you can make super simple frozen yogurt sandwiches by glopping some yogurt onto a cookie, topping it with another cookie and then freezing it. This frozen yogurt sandwich recipe uses graham crackers as the cookies. It’s such a healthy frozen snack for the kids (and for moms too!). 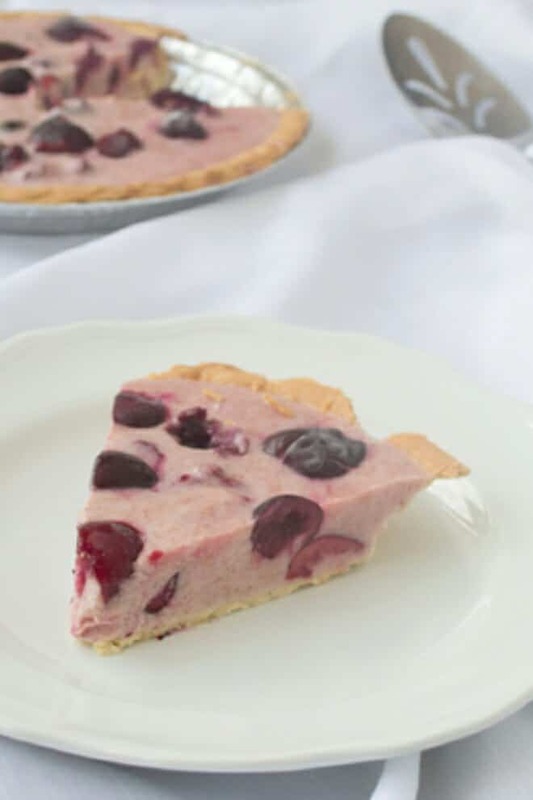 Or make today’s unique frozen yogurt pie recipe by mixing yogurt with cherries and putting it into a pie shell. If you like no-bake desserts like this one, you should also check out my recipe for peanut butter cup ice cream pie. Here’s how to make the frozen yogurt pie recipe. In a medium-sized bowl, combine half of the cherries with the honey, cinnamon, and yogurt. Glop the yogurt mixture into the baked pie shell. Place the remaining cherries on top of the yogurt in a non-overlapping layer (these cherries won’t sink into the mixture and so will stay vibrant and pretty on the top of the pie). Put the pie in the freezer until frozen solid, at least 2 hours. If not serving immediately, cover the pie tightly with plastic wrap and keep it in the freezer for up to 2 weeks. Remove the pie from the freezer and let it sit at room temperature for 5-10 minutes, just to let it soften slightly. Cut into 8 wedges and serve. This post originally appeared in July, 2013 and was revised and republished in May, 2018.